Messy Bun or Ponytail beanie is made with high quality soft chunky yarn. 100% Acrylic. These hats are also excellent to wear anytime, playing sports and during exercise – walking or running, keeping your head comfortable and your ears warm in the cold weather. 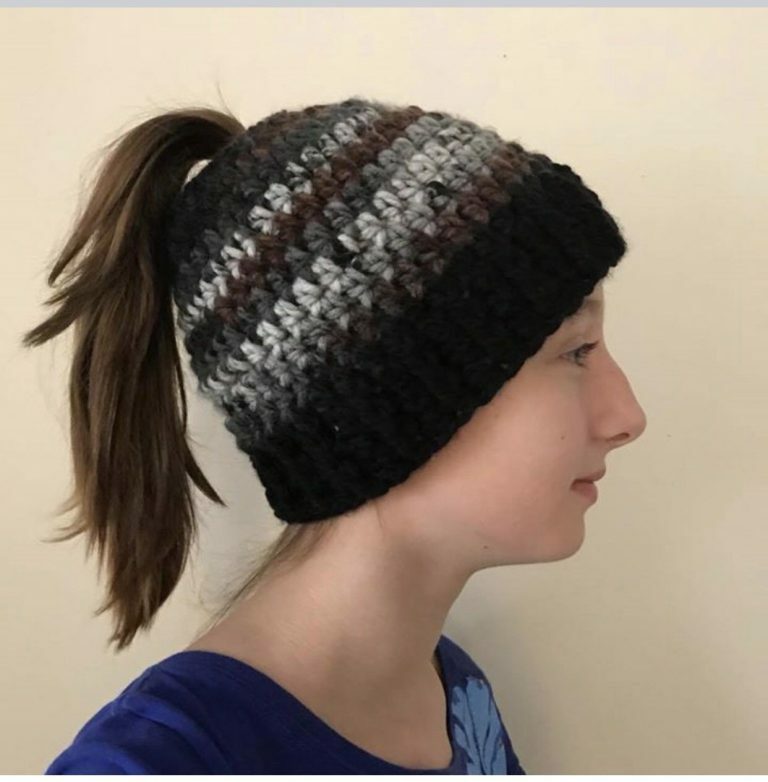 This Messy Bun or Ponytail beanie is made with high quality soft chunky yarn and can be made in a variety of colours. It makes an ideal covering for your head while out and about, while still being fashionable. With a hole in the top it allows your messy bun or pony tail to go in styled. Avoiding hat head like from most other hats or without the lump of your ponytail. These hats are also excellent to wear for playing sports and during exercise – walking or running, keeping your head comfortable and your ears warm in the cold weather. All hats are handmade by me with variegated yarn. What this means is that each skein is the same color pattern but since they are dyed individually, the placement of the stripe colors may differ from the hats pictured. Instagram – Check out whats happening!